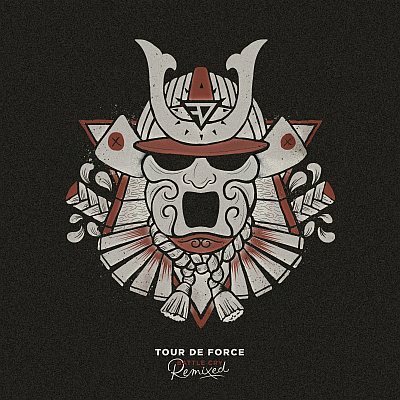 ﻿ Tour de Force - "Battle Cry Remixed"
Several months after Tour de Force’s “Battle Cry” LP Dub-Stuy Records prepared a remix album, available soon as CD/Digital. And I must say that this is a “must have” item for lovers of all colours of dub and its impact on current electronic music. Listening to a remix of one title you are going from DJ Madd breaks to Double Tiger’s deep steppa; Dub Terminator serves you a dubstep flavour, while OnDubGround smashes you with electronic dub madness. Digital sounds of Naram, a reggae groove of Brain Damage or Dubmatix, club beats of Dub Gabriel and more, over 1 hour of good music. 15 tracks made by talented artists, gathered on one release, connected by idea of dub and remix – congratulation Dub-Stuy!